Block Odors, Harmful Sewer Gases, Fruit Flies, and Pests! Traps are intended to provide a physical barrier between a building and the facility drainage system. However, they often do not receive enough drainage to maintain the water seal. This exposes your building to dangerous sewer gases, odors, fruit flies, and pest infestation. Drain-Net Technologies solves this problem with the Green Drains Super Seal. Green Drains seals off your facility from noxious gasses and creates a barrier to drain pests and the like. It is a simple alternative to a trap primer with no mechanical parts to replace or maintain. 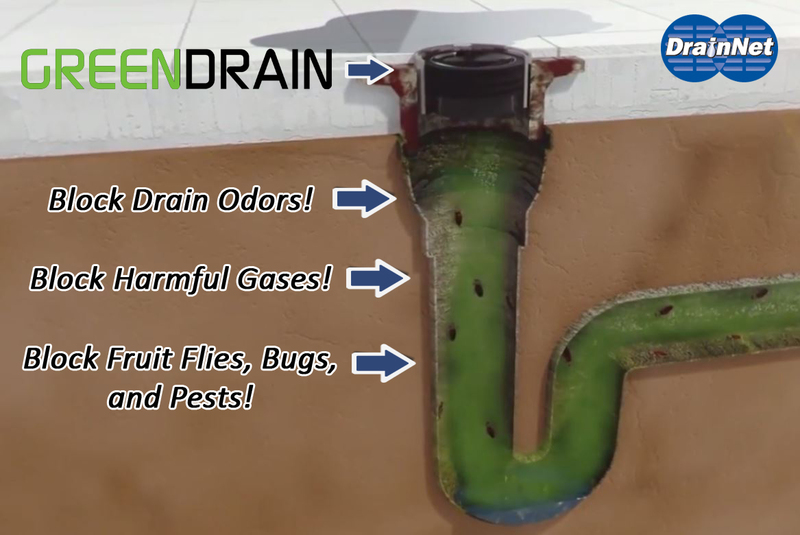 Green Drains also solves the problem of evaporation water in infrequently used floor drain traps which has become more of a problem with the advent of waterless cleaning systems. The old solution use to be costly trap primers which require a great deal of service and can create costly maintenance problems. That's why restaurants, plumbers, and facility managers say Green Drain is the perfect waterless trap seal. 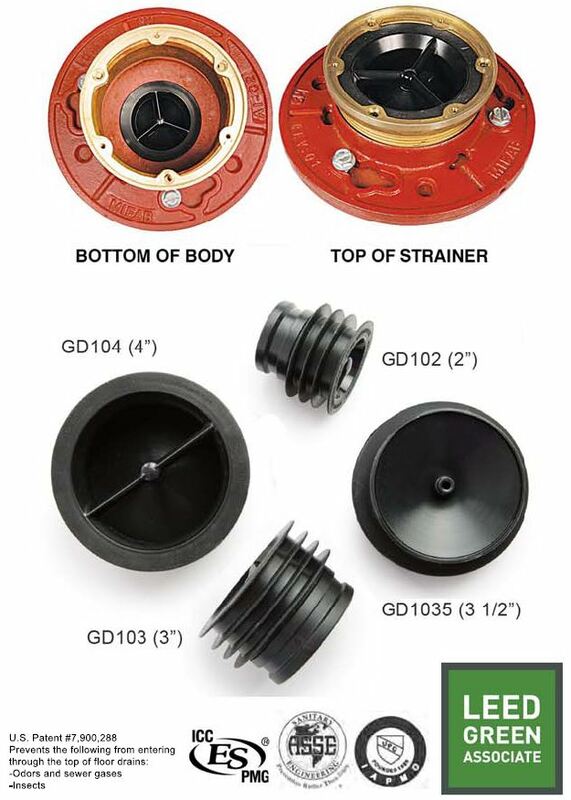 • A waterless Trap Seal perfect for restaurants, plumbers, and facility managers! Function: Used in the outlet connections of floor drain bodies, or the inside of floor drain strainers to seal the opening to prevent odors, sewer gases, and insects from entering up through the floor drain grate. The Green Drain’s four flexible silicone sealing ribs ensure easy installation into openings that have variations in size. The Green Drain will open to allow drainage and close when there is no water flow. 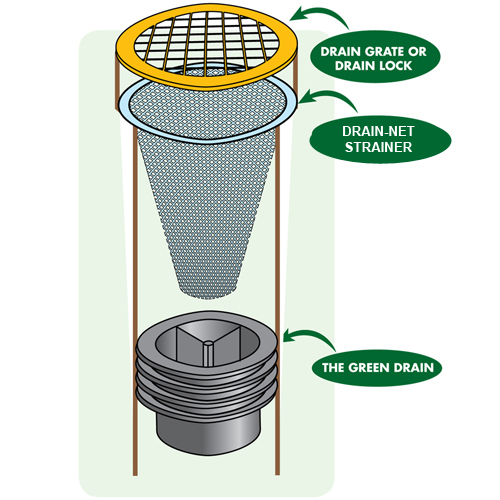 The Green Drain can be used in either new construction or retro-fit applications where trap primers were never installed.